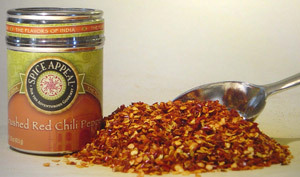 A favorite among Italian restaurants and pizzerias, this "pizza shaker" flake-like chile contain a deep, roasted flavor and a mild heat level. Great on pizza, spaghetti, pastas, and other Italian dishes. Add to omelets and Mexican dishes for a wonderful sharpness. Enhances the complexity of Asian and Indian curries.